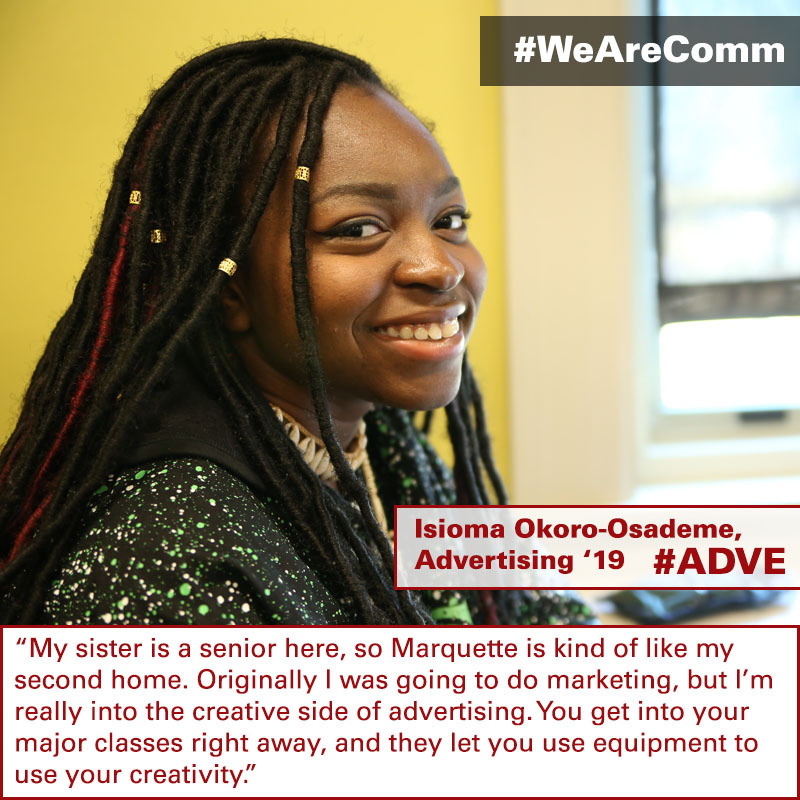 A campaign targeted to prospective students, #WeAreComm shows who are students are and what drives them to study communication. With eight different majors ranging from strategic corporate communication to the artistic disciplines of theatre arts, it can be confusing for incoming Freshmen to choose a career path. The purpose of the #WeAreComm campaign is to assure them that there is a place for them in our college.